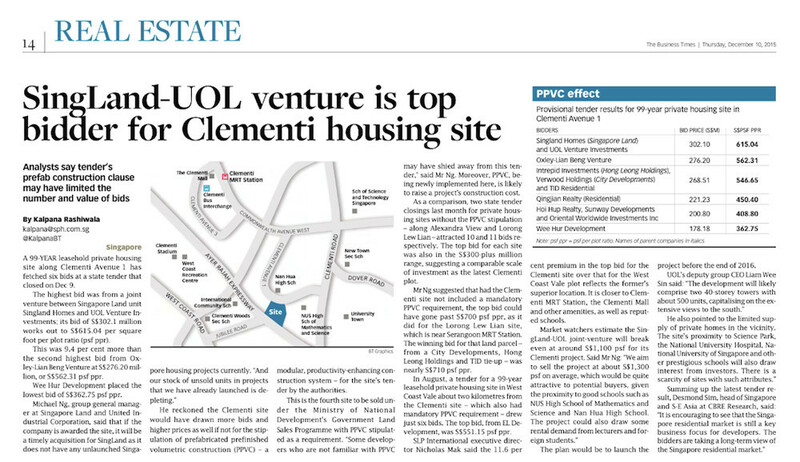 A residential site located at Clementi Avenue 1 attracted the biddings from 6 group of developers and the land was awarded to joint developers, UOL and SingLand. 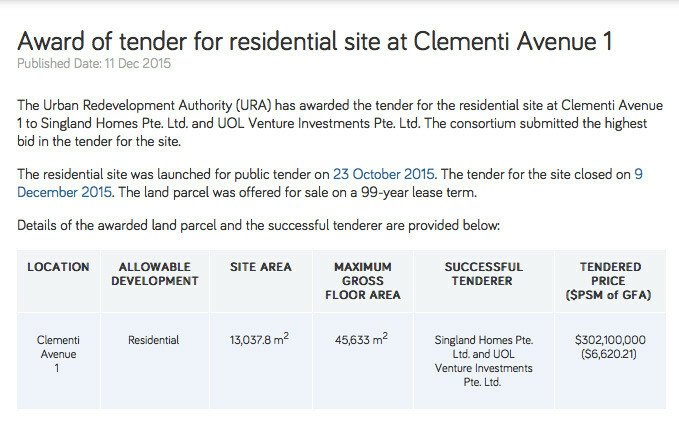 The land which occupies a land size area of 13037.8 square metres was sold at about S$302 millions which was approximately about $615 psf ppr. 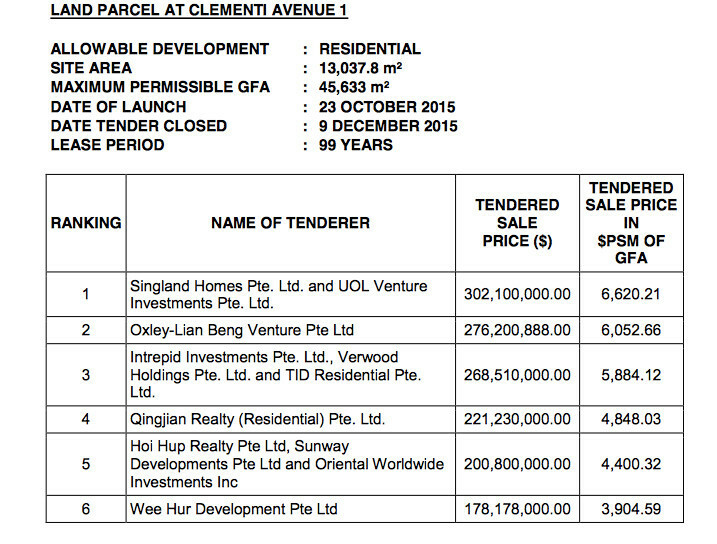 It was estimated that the break-even price for this land parcel will be at about S$1,100 sf and the selling price would be at an average psf of $1,300. The proposed plan for this residential development is there will be 2 blocks of buildings comprising of about 500 apartment units. This new launch is expected to be released by end of 2016 next year.